93, of Honolulu, Hawaii, passed away on February 28, 2017. He was born in Lahaina, Maui on August 1, 1923. He was an Army veteran, a retired Mechanic Inspector from the Pearl Harbor Naval Shipyard, and a retired Directing Business Representative for the International Association of Machinist and Aerospace Workers union. 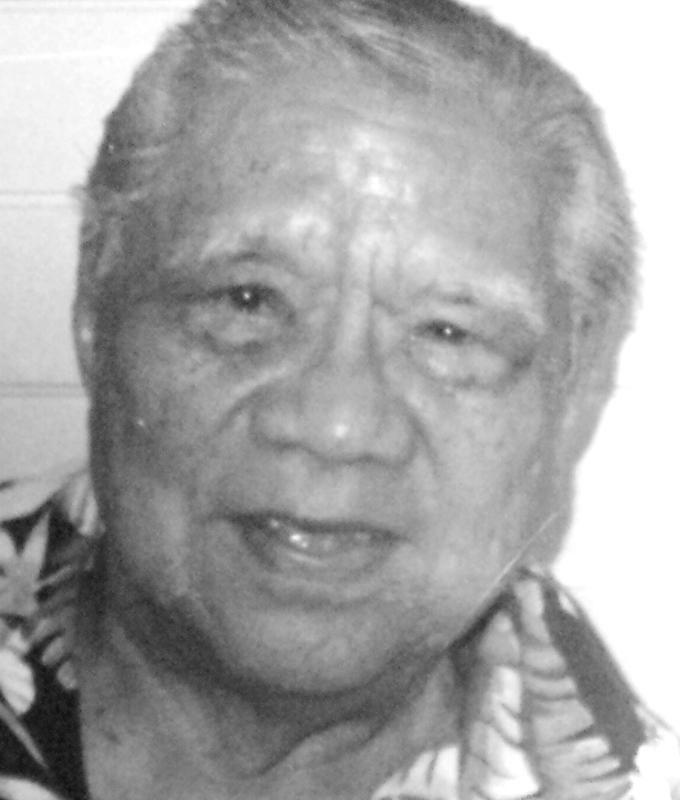 He was also a retired ukulele instructor with the Moiliili Community Center and Star of the Sea. He is preceded in death by his beloved wife of 65 years, Edith Lau Reyes. He is survived by daughters Noreene Bonnie (Alan) Morris and Nadyne Valerie (Terry) Cano; four grand- children; four great-grandchildren. Services will be held on Tuesday, April 11, 2017 at Diamond Head Memorial Park. Visitation will be from 9:30 a.m. to 10:30 a.m.. Services will be at 10:30 a.m.. Burial at 12:30 p.m. Casual attire.